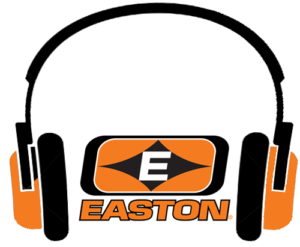 Easton manufactures a wide variety of hunting arrows to ensure we can provide hunters the excellence we are known for no matter what hunting style, bow setup or budget they have. Here are some things to keep in mind when choosing between arrow shafts made of different materials. Aluminum arrows have the highest precision-to-price ratio of any arrow construction. The XX75 is the best selling hunting arrow shaft of all time, but when bow manufacturers started making faster bows, hunters wanted a lighter arrow. An aluminum arrow with the same spine as an all-carbon arrow will always be heavier. So for guys still wanting to shoot aluminum, but get more speed, they have to use an arrow with smaller diameter and thinner walls. Of course, as the aluminum wall of the arrow gets thinner, strength decreases. Some like the heaviness of an aluminum arrow as it transfers the bow’s energy more efficiently at the shot. These days, it seems more hunters are filling their quivers with carbon arrows. There is a lot to like. Weight is the primary reason hunters switch to carbon arrows, but improved penetration thanks to a smaller diameter shaft and durability also helps the decision. Carbon doesn’t bend like aluminum, so straightness issues are not a problem. The higher velocity of carbon arrows helps overcome errors in range estimation. 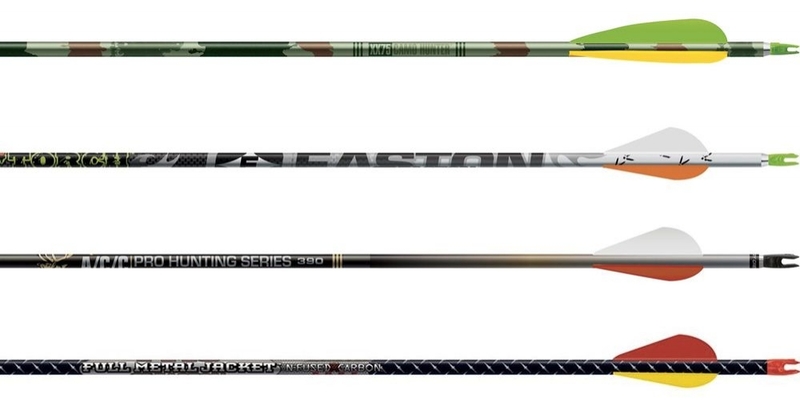 Easton is in the unique position of being able to manufacture both aluminum and carbon hunting arrows as well as hybrid A/C shafts of aluminum and carbon so advantages can be combined. They deliver the strength and durability of a carbon arrow, and the spine consistency, weight tolerances, and accuracy of an aluminum arrow. Because of the enhanced and difficult manufacturing process, A/C arrows tend to be priced higher than all-aluminum or all-carbon counterparts. 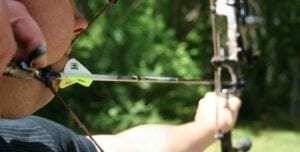 However, when considering the overall benefits and that the only downside is a slightly higher price, A/C arrows are a fantastic buy and the top choice of many pro-level shooters and bowhunters. FMJs are the reverse of an A/C arrow, combining the best attributes of carbon and aluminum with a new twist. The small diameter and thick wall carbon-fiber core with Hidden Insert Technology (HIT) provides superior penetration, durability and accuracy. The aerospace alloy aluminum jacket provides more consistent spine, straightness, and weight than all-carbon arrows. 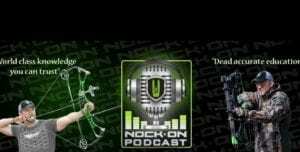 There’s the breakdown of materials used to manufacture Easton hunting arrows and the pros and cons of each. Since Doug Easton made his first arrow shaft in 1922, we have continually raised the bar of quality, innovation and accuracy of our hunting arrows. Because just as important is what material you find works best for your style of hunting is confidence in your arrow. 92 years ago, Easton picked up a new book written by Dr. Saxton T. Pope, Hunting with the Bow & Arrow, and since then we have been dedicating to creating the world’s finest hunting arrows.